ON 17TH MARCH 2017 MR RAHUL CALLED ME FOR COMBO OFFER AND I BOOKED IT AND HE SAID THAT UR GIFT WILL BE DISPATCHED BY 2DAY AND IT WILL TAKE 10-15 DAYS TO REACH AT UR DESTINATION. 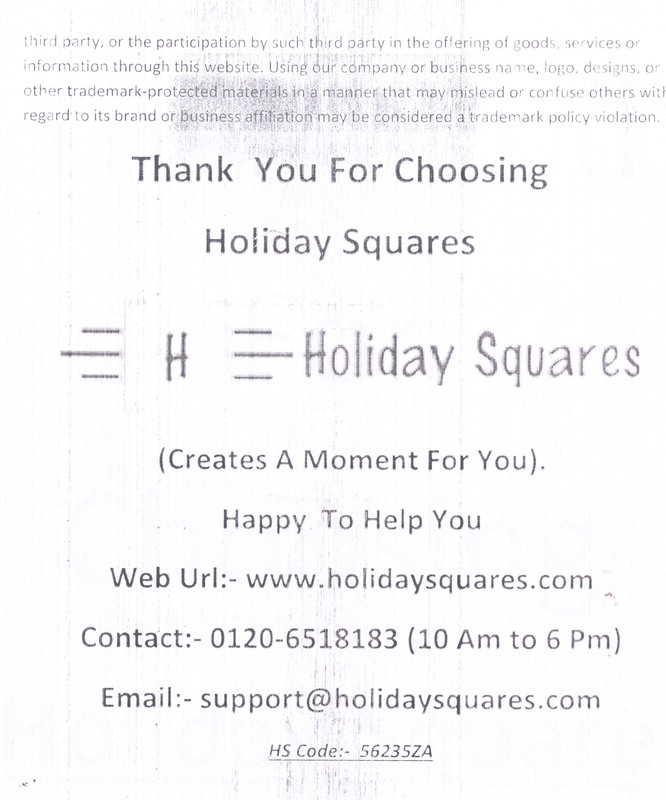 BUT I GOT A XEROX COPY OF A FORM FOR HOTEL BOOKING WITH THERE HS CODE. AFTER THAT I CALLED THEM THEY TOLD ME TO PROVIDE HS CODE TO VERIFY UR ADDRESS. OK NO PROBLEM. THEN THEY TOLD NOW UR GIFT WILL BE DISPATCHED THROUGH TRANSPORT NOT WITH COURIER. THEN I ASKED WHY WITH TRANSPORT U WANT TO VERYFY THE POSTAL ADDRESS FROM COURIER THEN SEND IN COURIER BUT THEY SAID THAT THEY WILL SEND FROM TRANSPORT FOR LOW COAST OF TRANSPORTATION. THEN I ASKED OK GIVE ME THE DETAILS OF TRANSPORTATION DETAILS SO THAT I WILL BE IN TOUCHED WITH THEM BUT THEY DID NOT PROVIDED ME. AGAIN AFTER 15 DAYS WHEN I DID NOT RECEIVED THE GIFT I AGAIN CALLED THEM. THEY AGAIN ASKED FOR HS CODE . THAT UR HS CODE WAS NOT YET REGISTERED. AGAIN I GAVE AND SAME I W8 FOR 15 DAYS. AGAIN AFTER 15 DAY I CALL BACK THEY TOLD ON 1ST MAY UR PRODUCT HAS BEEN DISPATCHED FROM OUR STORE DEPARTMENT. IT WILL REACHED BY U HARDLY 11 TO 15TH MAY. BUT NOT YET RECEIVED. AFTER THAT AGAIN I CALLED THEIR CUSTOMER CARE NO. MANY TIME THEY DID NOT PICK UP THE CALL SUDDENLY THEY PICK THE CALL WITH DIFFERENT NO. I CALL THEM. THEN THEY TOLD UR COMPLAINT HAS SEND TO UR COMPLAINT DEPARTMENT THEY WILL BE IN TOUCH WITH U. BUT TILL DATE I DID NOT YET RECEIVED ANY CALL FROM THEIR. NOW FROM THURSDAY THEIR CUSTOMER CARE NO. (+911206518183) IS SWITCHED OFF AND MR. RAHUL NO. (+918882487690) IS ALSO SWITCHED OFF.